I love spending the day in Laguna Beach whenever I have the chance, and if you’ve ever been here before you probably understand why this is my favorite beach city in Orange County. Even though it is a smaller town, there are a ton of things to do in Laguna Beach. The beaches in Laguna are incredible, the food is great, there are a bunch of art festivals and galleries, lots of hiking trails, plus its not as touristy and crowded as beaches in nearby LA. I love finding budget (or even free) things to do wherever I go because they seem to be more worthwhile. Give me some fresh air and a great view and I’m a happy camper! Whether you plan to visit Laguna Beach for the day or the weekend, I’m sure you will find many things on this list that you will enjoy! Explore the many miles of hiking and mountain bike trails, lounge at one of the most gorgeous beach sections in Orange County, or see a piece of history by exploring the historic district. You can also enjoy camping, picnics, or try one of the on-site restaurants: The Beachcomber or The Shake Shack. One of the reasons I love Orange County so much is because there are so many great places to hike! Hiking is such a great way to get outside and enjoy the sunshine, and it won’t even feel like exercise when you are distracted by such amazing ocean views that can be found in Laguna Coast Wilderness Park. Check out the award-winning Nix Nature Center to learn more about the park and suggested routes. Or you can head out on your own using this map. Hike any of the trails with the “scenic overlook” icon for some great views over Orange County. Who wouldn’t want to jump into the gorgeous waters of Laguna Beach?! Head to a place like Laguna Surf & Sport or Main Beach Toys to rent some beach toys! Laguna is a great place to swim since the waves are typically small and boats are not in the area. Take advantage of that and try a boogie board or something to have a little fun in the water. Hours: This festival is not open year-round so be sure to check the website for more information. If you are visiting Laguna Beach for a short amount of time and you are only able to squeeze in one art activity, let this be the one. You will find lots of paintings, jewelry, pottery, leather goods, hand blown glass, and more at this super cute outdoor festival. The festival also offers workshops to teach you how to make a few of these things! Food, wine, and live music are also available on-site. Laguna Beach is the art mecca of Orange County, so if you are visiting for the first time it might be worth checking out some galleries, exhibits, or festivals. Take a walk through this popular festival, the Festival of Arts, where the work of over 100 local Orange County artists is on display. Hours: Monday-Tuesday & Friday-Sunday 11am to 5pm. Thursday 11am to 9pm. Closed Wednesday. I know, another artsy thing to do, but I told you Laguna Beach is an ART MECCA. Spend a day at the Laguna Art Museum admiring the work of only California artists. The museum also has special events such as art walk days and art-making studios. Details can be found on their website. Happy Hour doesn’t get any better than this…great food & drinks, good people, and amazing ocean views. There are so many great food & drink options in Laguna, and many of them have happy hour specials. These two brothers from Laguna Beach are on a mission. A mission to pursue their passion for brewing craft beer, and at the same time promote local artists and provide guests with the unique Laguna Beach experience. And they must be doing well. The Laguna Beach Beer Company has recently expanded their beer-brewing operations with a new location in Laguna Beach’s Art District. Swing by to try one of their 14 brews with unique names that have something to do with Laguna Beach! Ask the bartender what they mean; maybe you will even learn something new about the area! There is a place in Laguna Beach that makes fresh gelato every day. A place tucked away in this outdoor “hallway”, kind of like it’s a secret, hidden place. A place where you can smell the waffle cones through that hallway. A place that might have a line all the way out the door, through the hallway, and onto the street. That place is Gelato Paradiso and I definitely recommend it! Be prepared to wait in line, it is quite popular! I love going here and then taking a stroll through Main Beach to watch the sunset! Take a ride by the Laguna Beach Ruby’s Auto Diner to check out some classic old cars. And since you are there, you need to get a burger and a shake of course! I love Ruby’s. I love Ruby’s for breakfast, lunch, or dinner. Take your pick and I am sure you will enjoy it as much as me. But one thing you must do: try a Ruby’s Classic Shake! So yummy! The Ruby’s in Laguna Beach is pretty cool not only because they have classic cars parked outside, but also a rooftop dining area with ocean views! 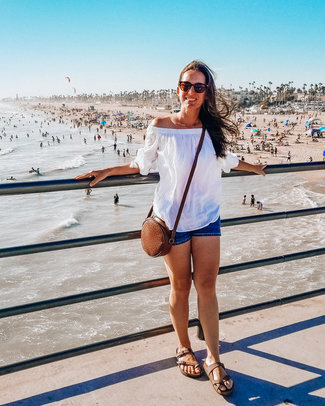 I hope this gives you a bunch of ideas for your Laguna Beach itinerary, and if not, head on over to my other post that includes 12 free things to do in Laguna Beach! Have you been to Laguna Beach before and have an awesome budget idea to add to the list? The classic cars at Ruby’s Dinner has my heart💗 That’s definitely one place I would visit atvthis beach! Right?! I love the classic diner, and Ruby’s got it perfect with those cars! Thanks for your comment Sandra!